New types of smart materials that can respond to selective stimuli hold promise in the development of novel platforms for self-powered chemical and biological (CB) sensors that can sense and destroy threat agents. A Penn State University team led by Dr. Scott Phillips and managed by the Defense Threat Reduction Agency’s Dr. Brian Pate has found a way to produce new types of smart materials that use depolymerized polymers to cause a change in shape, internal structure, and surface properties of the material. These materials combine sensing and microfluidic pumping capabilities into single self-powered microdevices, while serving as a platform to establish quantitative links between reactivity and directed transport. Selective and amplified responses can be imparted to materials by purposely integrating depolymerizable polymers into the material. Reaction of the stimulus with the end-cap cleaves the end-cap and initiates a spontaneous, continuous, and complete end-to-end depolymerization reaction to reveal monomers or designed small molecule products. 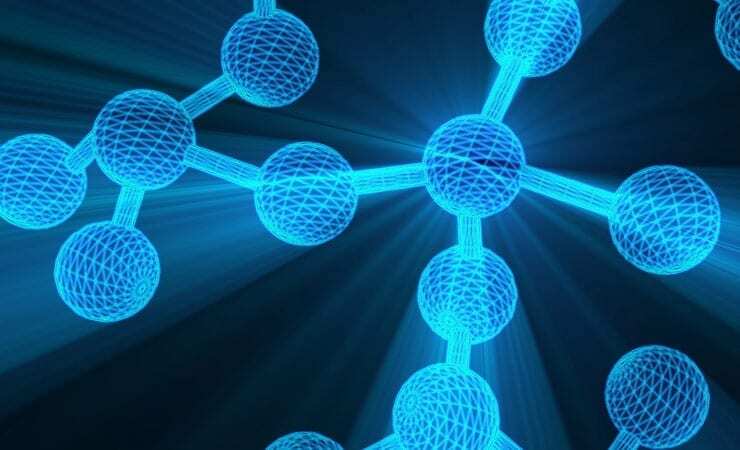 Amplification is achieved by obtaining many functional small molecules (e.g., colored molecules) per detection event, or by changing the properties of the material or its surroundings. These new smart materials are capable of responding to trace levels of specific stimuli with much greater outputs than the intensity of the input signal, applying stimuli more quickly than is possible without amplification, and programming to perform a function without user intervention. The polymers could be applied to a variety of biomedical needs, such as detecting the lethal factor of anthrax and generating a sterile region surrounding the reactive site. This might help keep medical diagnostic and countermeasure equipment contamination free in a biologically compromised environment. This approach uses the energy from specific chemical reactions when a pre-defined weapon of mass destruction is detected by the microdevice. Therefore, they do not require batteries or any other external power source to function. Other target applications for these prototype devices focus on the detection and hydrolysis of phosphate-based nerve agents and on a self-sterilizing surface in which a reactive material effectively establishes an exclusion or “clean” zone. Potentially these enzyme pumps could be incorporated into medical devices, catheters, face masks or on other surfaces that need to be free of pathogens and CB agents. Because they do not require an external power source, the shelf life of these protective systems could be lengthy, thus providing a cost effective increase in protection, detection, and decontamination for new and evolving CB threats. 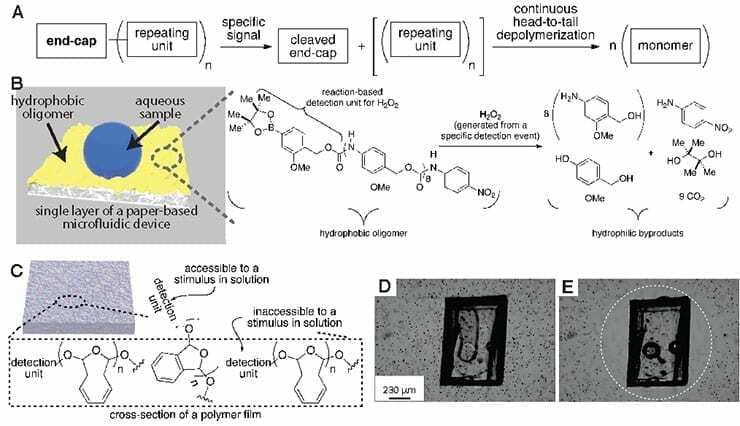 Read more at the Journal of Applied Polymer Science: Amplified responses in materials using linear polymers that depolymerize from end-to-end when exposed to specific stimuli. Source: JSTO In the News, adapted. Previous article How Quickly Can Viruses Contaminate Buildings? How Quickly Can Viruses Contaminate Buildings?